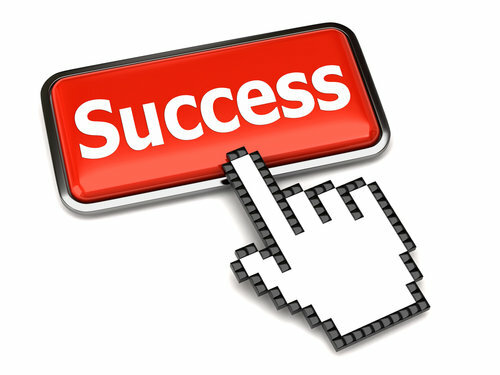 Success Tweet 4: The mightier your purpose, the more likely you are to succeed. It will give you a strong foundation when the winds of change shift. For me, this is a mighty purpose. I’m helping other people find career success -- and fulfillment in their lives. That’s important work in my book. I take immense satisfaction out of seeing others learn, grow and succeed. In another life I might have been a teacher or athletic coach. In this life, I help people create the life and career success they want and deserve. There is an old saying that goes something like, “The problem is not in setting your goal too high and not reaching it. The problem is setting your goal too low and achieving it.” I can’t remember the exact quote or the attribution. I’ll send a copy of Success Tweets to the first person who sends me an e-mail at bud@budbilanich.com telling me the exact quote and the attribution. What is your purpose? Is it mighty? I hope so. The common sense career success coach point here is simple. Successful people think big. They ground themselves in a mighty purpose. Tweet 4 in Success Tweets says, “The mightier your purpose, the more likely you are to succeed. It will give you a strong foundation when the winds of change shift.” Take this advice to heart. Ground yourself with a mighty purpose. It’s better to aim to high and fall a little short than it is to aim too low and reach your goal. Or, as Mario Andretti once said, “If you’re in complete control, you’re probably not going fast enough.” Think about it. If you want to read more of my career success tips, download a FREE copy of my latest book: "Success Tweets:140 Bits of Common Sense Career Success Advice, All in 140 Characters or Less." | Did you find this article interesting? You can read more articles by this expert here. Also, check out all of our FREE webinars! CAREEREALISM Expert, Bud Bilanich, The Common Sense Coach, will help you create the life and career success you want and deserve. He is Harvard educated but has a down-to-earth approach to his coaching that comes from his roots in the steel country of Western Pennsylvania. CAREEREALISM.com provides the best career advice from proven career experts on a daily basis. How do you find a job today? You get career and job search help from us! Sign-up today to get our updates daily. The photo for this article is provided by Shutterstock.